Chewing keeps dogs occupied and out of trouble (in theory). 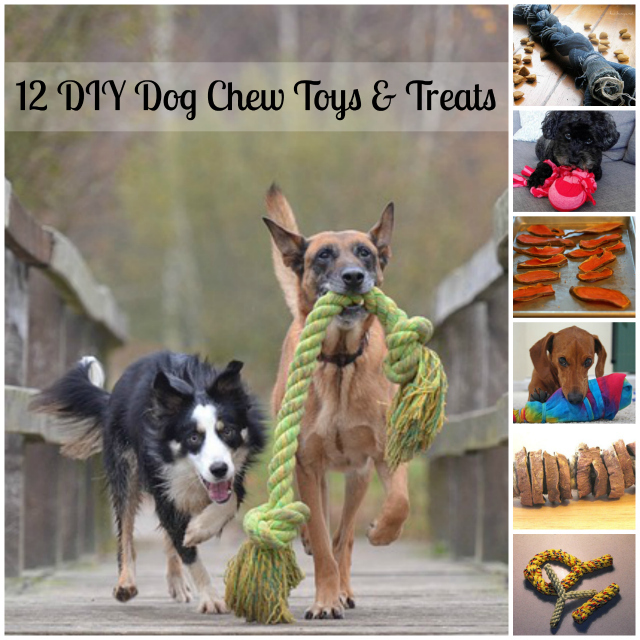 Whether you're looking for a chewy treat or chew toy, you'll find it in the following compilation. After all, a busy pet is a happy pet. 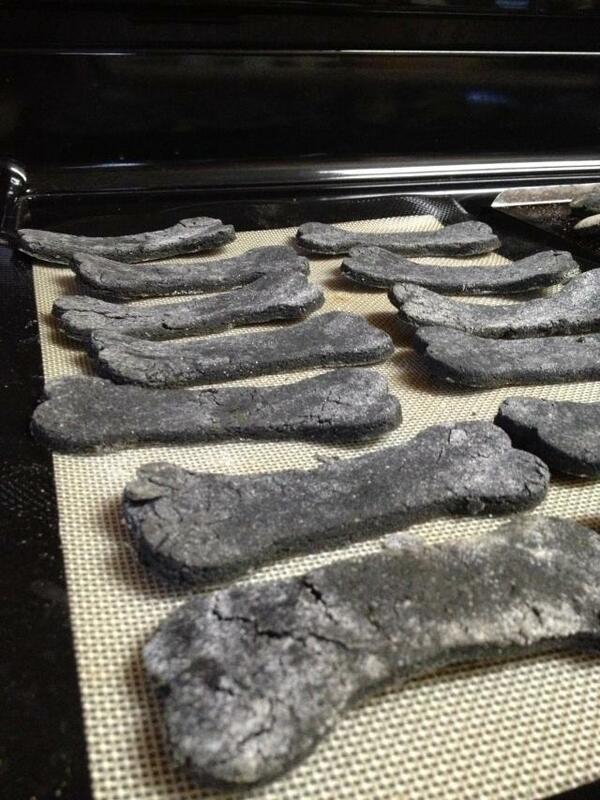 Note: Always remember to supervise your dog's chewing activities, so that no unexpected vet bills arise. 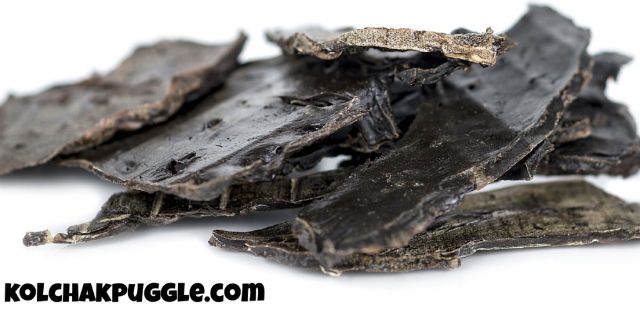 Get the All Natural Homemade Dog Chews recipe by Happy Money Saver. 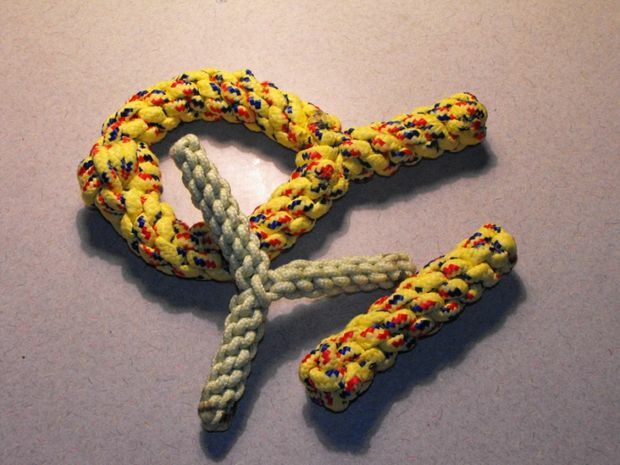 Get Instructions for Dog Toys For Heavy Chewers by Instructables. 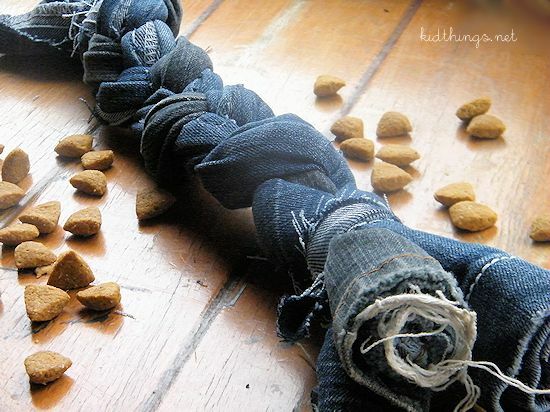 Get the Sweet Potato Rope Toy recipe by Little Things. 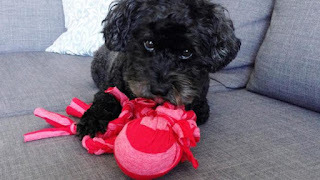 Get the T-Shirt Tug Toy pattern by She Knows. 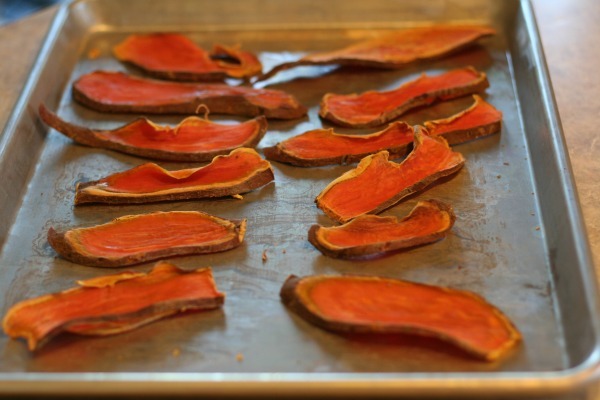 Get the Homemade Chicken Jerky recipe by The Bark. Get the Homemade Natural Greenies recipe by Swanson Health Blog. 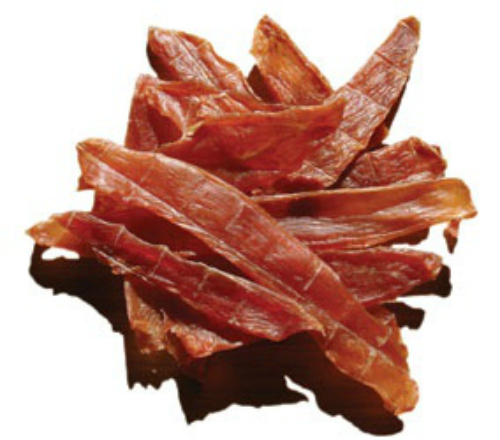 Get the Organ Meat Chews recipe by Kohl's Notes. 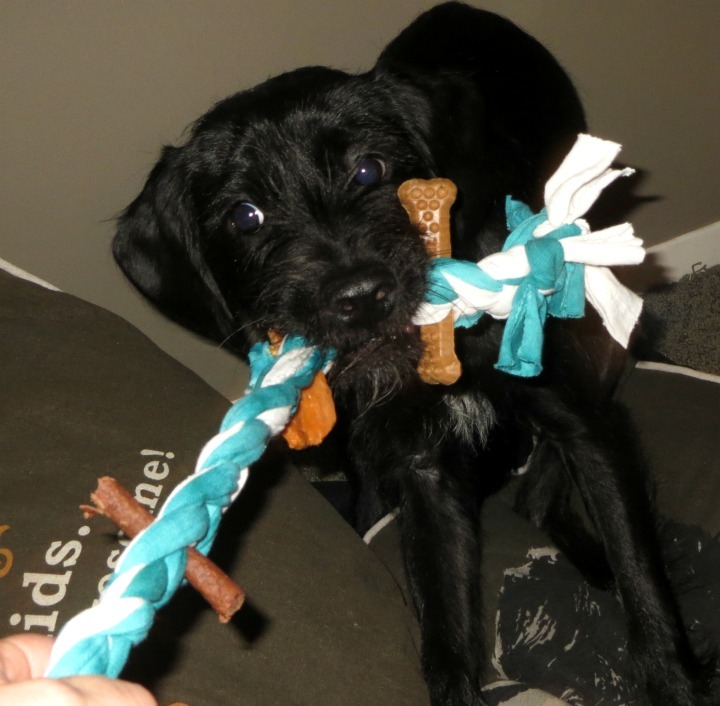 Get instructions for 10 Minute Dog Chew Toy by Life With Levi. 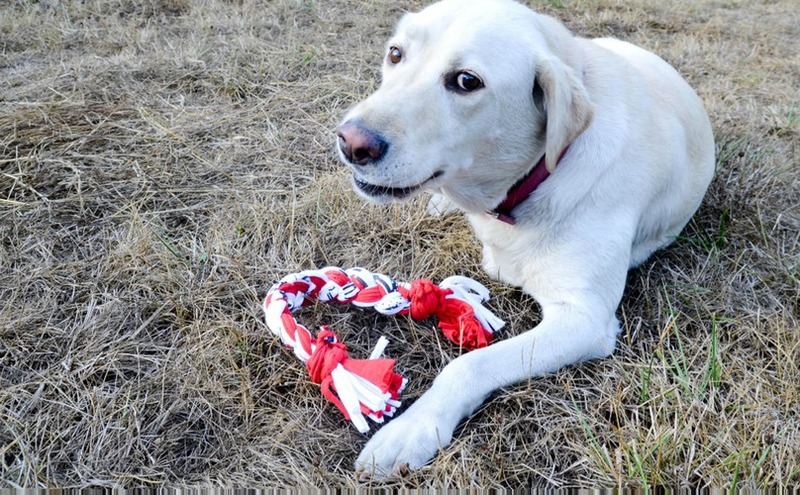 Get instructions for DIY T-Shirt Chew Toy by BarkPost. 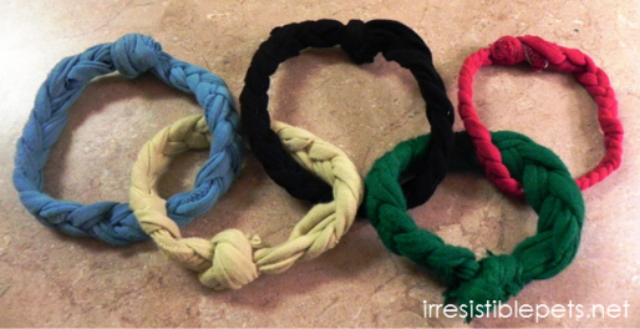 Get instructions for DIY Olympic Rings Dog Toy by Irresistible Pets. Get instructions for DIY Catch Toy by Kid Things. 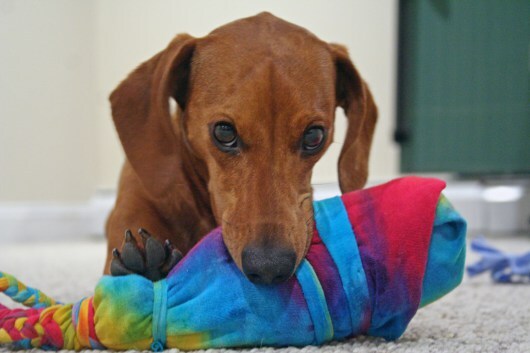 Get instructions for Plastic Water Bottle Chew Toy by Ammo The Dachshund.